Complexity ex nihilo? - READY... SET... QUESTION! The effects of time are apparent, but it is such a fleeting thing, idea, concept, system of measuring the span between events. Is time a human invention or is time eternal? Will there be a time when time is no more? What about before time? Was there a time when time had yet to exist? If so, where did time come from? How did time emerge into existence? The Universe is amazingly complex and dynamic. Governing physical laws maintain the cyclical and seemingly ever expanding attributes of what we are able to currently observe. Every facet of every celestial body is complex is in its movement and in the make up of its matter. It seems, the most solitary and lifeless rocks that appear to be insipidly careening through space are in fact quite complex. 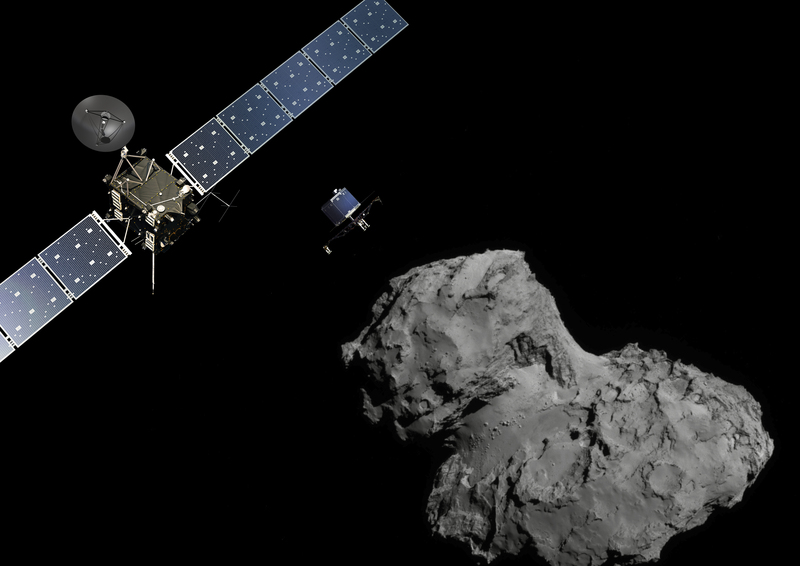 The Rosetta mission funded by the European Space Agency has been collecting extraordinary data from the 67P/Churyumov-Gerasimenko comet that shows its great complexity. Of course we do not know if there is life elsewhere, but Earth has it and talk about complex! The most simple of all unicellular organisms is far from simple. Life is complex, period. Yet, the are additional layers of complexity to be observed if our focus shifts toward multi-cellular organisms. No other aspect of complexity has baffled the human mind like that of life and its own varying levels. Is complexity eternal or finite? If complexity is eternal, does it also increase eternally? Does complexity decrease on an eternal scale? If the opposite is true and complexity is finite, was there complexity before it emerged into existence? Will there be a time when complexity is no more? What about before complexity? Was there a time when complexity had yet to exist? How did complexity emerge into existence? Where did complexity come from? What is complexity? The Universe has a deep level of complexity when it comes to energy, to the atoms that make up the elements, to the physical laws that govern, and all the way to Earth’s unicellular & multi-cellular life. So, if complexity is the lack of simplicity, then simplicity is the lack of complexity. Therefore, if complexity is not eternal and it did indeed have a beginning, then it must have emerged out of something that did not contain complexity, could it have been simplicity? Perhaps all of the complexity in the Universe came from nothing? Yes. In fact, science has been consistently revealing empirical data that shows all complexities in the Universe lead back to an ex nihilo event preceded by another ex nihilo event. We can observe the Universe and all of its complexity, but every aspect leads to empirical data that reveals an ex nihilo event of which are explained by ideas that are void of empirical data. Let me say that in simpler terms. All of the things we can see give us information that said things had a beginning, but the explanations of how things began are ideas and not information we can see. For example, life. Paleontologists have shown that fossils suddenly appeared. There are rock layers that are void of fossilized organisms and then rock layers begin to reveal fossils. Just like our lives had a beginning, empirical data from the fossil record shows that all life had a beginning, but how did life emerge? Here we are with yet another conundrum. First, it seems that everything came from nothing… now we are looking at an event that suggests life came from non-life. So, what gives? *On a side note, the graphic to the right showing various strata and the fossils there in, happens to be less than accurate. Obviously, we have reptiles, amphibians, jawed fish, jawless fish, and invertebrates alive today. Also, dinosaurs are just an extinct line of reptiles. So in reality, the fossil record shows all forms of life from their ex nihilo emergence to their points of extinction. With that said, all extant (not extinct) fossilized organisms on the bottom of this chart are also found in every layer as we move to the surface. The reason why charts like this one are inaccurately assembled has to do with the fact that some organisms are immune to evolution and have been defying it for eons. I go into great detail in regard to this matter in my book What Is Evolution?, and I also have briefly covered it in a previous post entitled: What About Fossils? OK, back to ex nihilo. Does nothing produce anything? 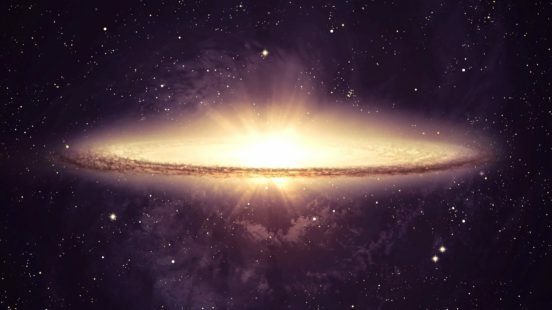 Did everything come from nothing? Does the absence of life produce life? Did life come from non-life? Even though there is no scientifically agreed upon definition of evolution, evolutionary biologist do agree that the emergence of life is NOT part of biological evolution. Biological evolution is suggested to have begun after the first simple organism(s) emerged into existence. Granted, the emergence of biodiversity (aka species) is complicated enough, it is probably better to leave the whole “absence of life” producing “life” well alone. With that said, the emergence of life is the biggest “gimmie” evolution could have ever received. It is no wonder that evolutionary biologist do agree that the emergence of life is NOT part of biological evolution. So, if the emergence of life is the biggest “gimmie” that evolution has ever received, what are the other “gimmies” of evolution? Could it be evolution itself? Darwin thought so, and so do many others in the field of evolutionary biology. In his book The Origin of Species, Darwin wrote, “from so simple a beginning endless forms most beautiful and most wonderful have been, and are being evolved.” He communicated that one species became many diverse species which he called “descent with modification from a common ancestor.” He wrote of how mutation is the engine of life’s diversity. His idea that species are “mutable” is at the heart of his work because it refers to an ability of one life form or species to mutate into another. This is speciation and it is the result of evolution. Lamentably, Darwin did not give a clear explanation of how “mutable” species mutate. Jerry A. Coyne wrote in his book Why Evolution is True, that a better title for Darwin’s book, The Origin of Species would have been “The Origin of Adaptations: while Darwin did figure out how and why a single species changes over time (largely by natural selection), he never explained how one species splits in two. Today we see fully formed species living, thriving, and reproducing. Yet, we do not see species split into new species. Even under the most extreme artificial selective pressures mimicking millions of years of evolution, breeders have yet to observe an emergence of a new species. In the fossil record we DO see an abundance of fully formed species, but new species abruptly appear in an ex nihilo kind of way, “out of nothing.” Could it be that speciation, aka the emergence of new life forms, is also a major “gimme” of evolution? What is evolution? If it doesn’t have anything to do with the emergence of life, nor the emergence of species, what are we talking about? Could it be that life’s biodiversity is attributed to the idea of evolution based on hope? If we see how dog breeding has produced French Poodles, Bulldogs, and Great Danes from wolf stock, are we supposed to “believe” that, given enough time, a new species will eventually emerge? When it comes to natural phenomena, empirical data is collect through what can be observed, tested, replicated, and verified. So, what empirical data has been collected through what can be observed, tested, replicated, and verified when it comes to the natural phenomenon of evolution? In my book, What Is Evolution?, I dive deep into the journey of asking questions. Will you join me? Previous PostIs There Anybody Out There?Next PostWhat does the future hold?